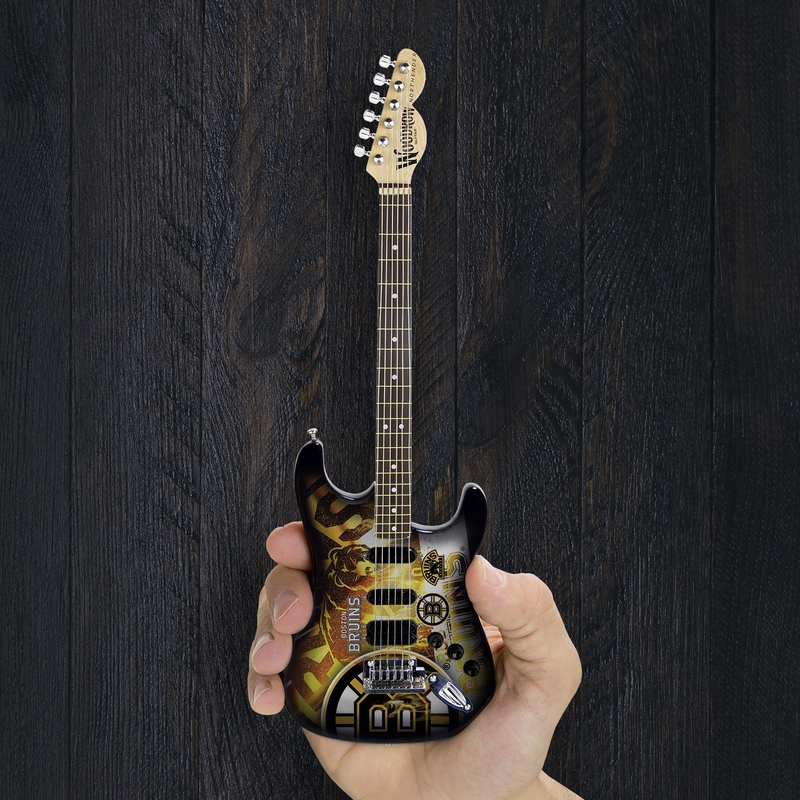 Delicately crafted out of metal and wood, this Nhl officially-licensed item is an authentic 10'' tall copy of the traditional NorthEnder Guitar. 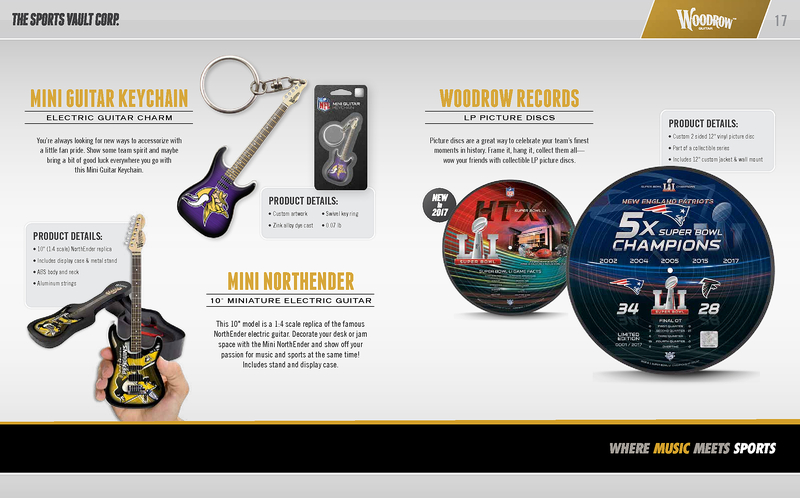 The Boston Bruins Mini NorthEnder Guitar is elegantly wrapped in eye-catching team artwork and graphics representing the home team. All mini NorthEnders include a collector's box and a custom stand to proudly show off your support. As the ultimate must-have for any supporter of the Bruins, this collector's item makes a fantastic gift for a friend or fan in your family.